PDPP provides learners with an opportunity to enhance domain knowledge and benefit from expert feedback on submissions. Registered learners systematically enhance their knowledge and skills, and undergo structured assessment. 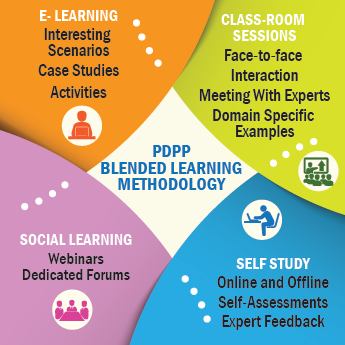 The blended methodology ensures comprehensive online and offline learning.. If a student wishes to opt out of the programme within one month of enrollment , 50% of the fee will be refunded. Beyond one month, No Refund will be given.